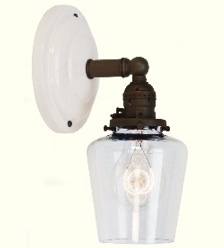 The different tones of paint make for a surprising contrast. 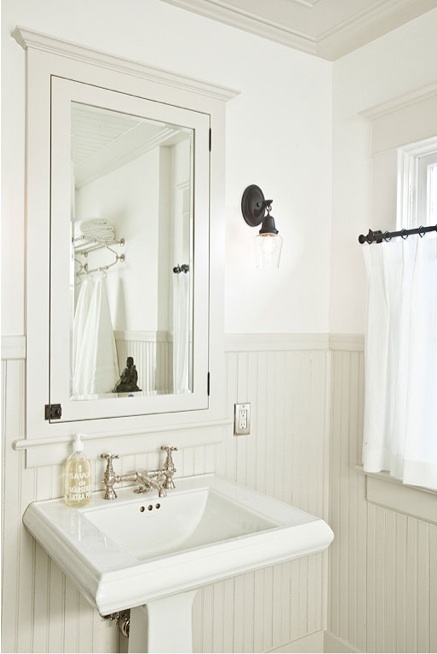 The designer used Benjamin Moore AF-685 Thunder at 25% (semi-gloss) on all woodwork (including ceiling) and OC69 Regal Matte white on the walls. 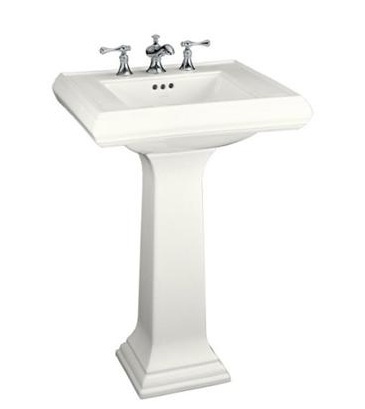 Kohler K-2267-0 Memoirs Pedestal Sink in white; $310.15 at Plumbers Surplus. 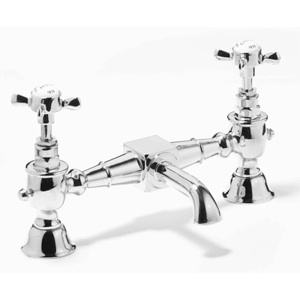 Samuel Heath Antique Basin Mixer (Model VAC13/XAUS) is available in antique gold or chrome plate finishes; $709.80 at Homeandstone.com. 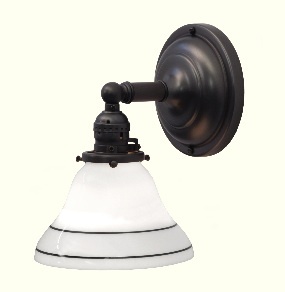 Hampshire Wall Sconce ($129) in antique black is paired with (on the right hand) a Clear Glass Shade ($21) from SchoolhouseElectric.com. 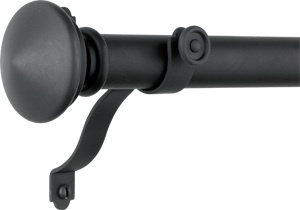 One-inch classic Drapery Rod Set with Mushroom Finials in solid brass with oil-rubbed bronze finish is $129 (up to 72 inches in length) at Rejuvenation Hardware. 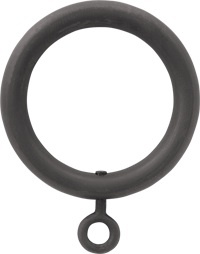 Oil-Rubbed Bronze Curtain Rings with Eyelets are $7 each (they can also be ordered as part of the drapery set listed above) at Rejuvenation Hardware. 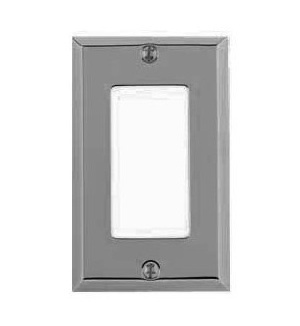 Baldwin Classic Square Beveled-Edge Single GFCI Switch Plate in satin nickel; $9.99 at Amazon.com. 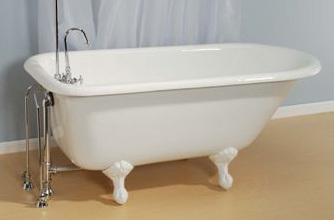 We like the simple design and lifetime warranty of Strom’s 60-inch Geneva Rolltop Cast Iron Tub; $1,260 at Vintage Tub. 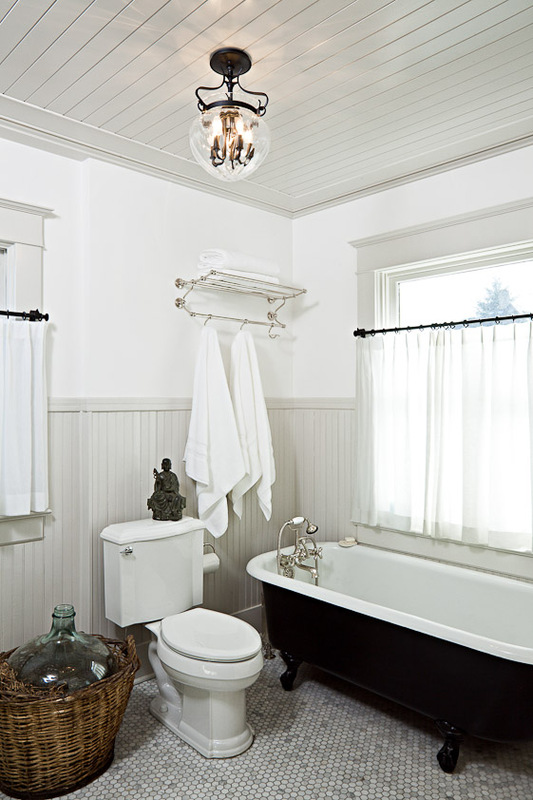 Cast iron tubs can be professionally refinished in many colors, including the black shown in this bathroom. Alternatively, you can purchase Strom’s 60-inch Geneva Rolltop Cast Iron Tub, which comes with a custom painting option ($119), but the price tag is a steep $3,632 before the painting charge. 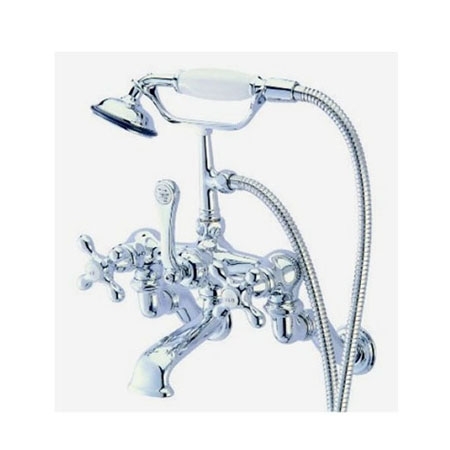 Wall-Mount Leg Tub Filler with Hand Shower with a 3 3/8-inch to 10-inch adjustable spread by Elements Design; available in four finishes for $427.77 at eFaucets. 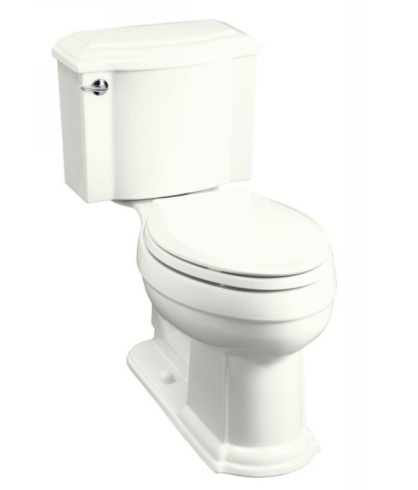 Kohler Devonshire Two-Piece Elongated Toilet; $244.39 at eFaucets. 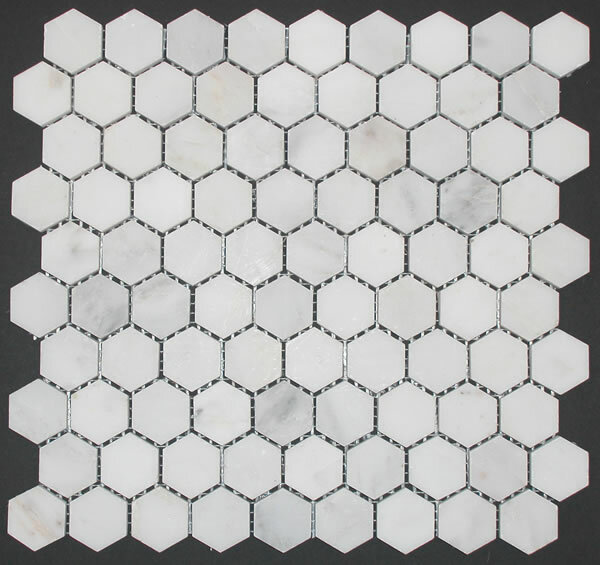 Affordable luxury: the Honed Statuary Marble Hex Tile is $16.95 per 0.85-square-foot sheet at Hextile (part of the Tilehaus group). 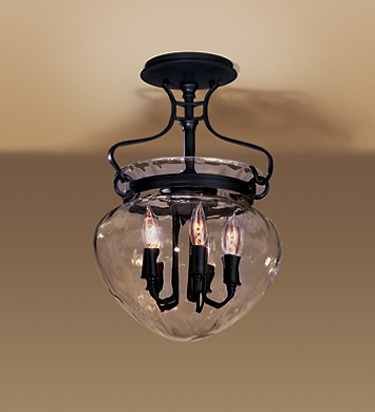 The semi-flush Acharn Fixture with water glass in black finish from Hubbardton Forge Lighting in Vermont is $550; locate retailers at Hubbardtonforge.com. Hotel Towel Shelf with Hooks in nickel-plated steel; $95 at Rejuvenation. 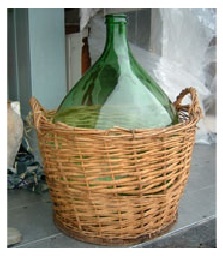 Vintage Jug with Basket; $350 at Maison Reve in Mill Valley.